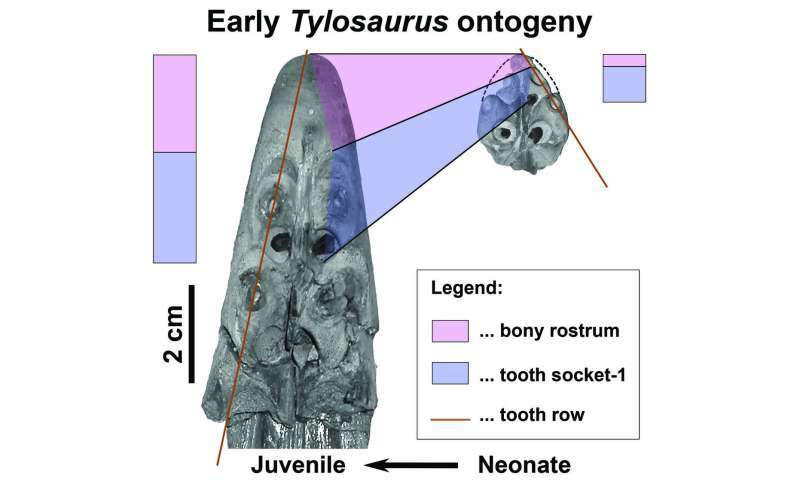 From left to right a partial snout with teeth and tooth bases, partial braincase, and a section of upper jaw with tooth bases. 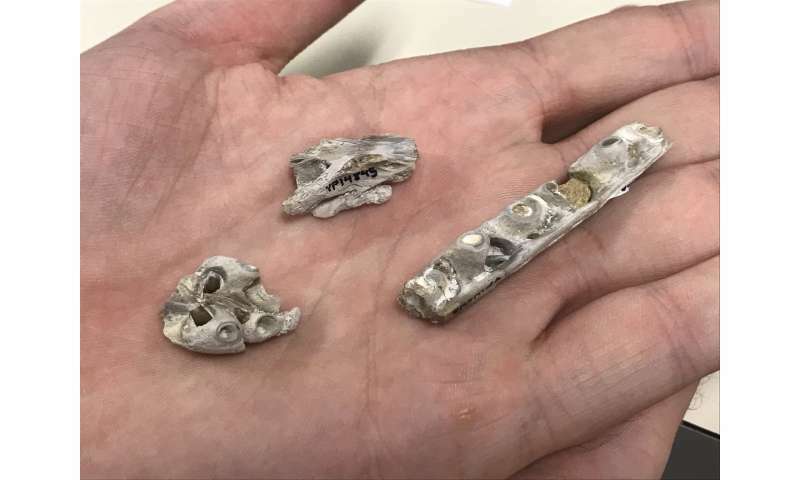 Credit: Ms. Christina Byrd, Paleontology Collections Manager at the Sternberg Museum of Natural History in Hays, Kansas. 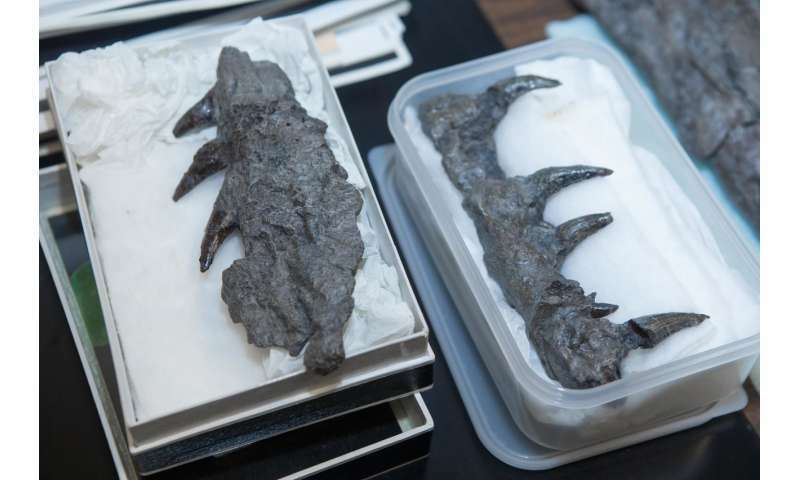 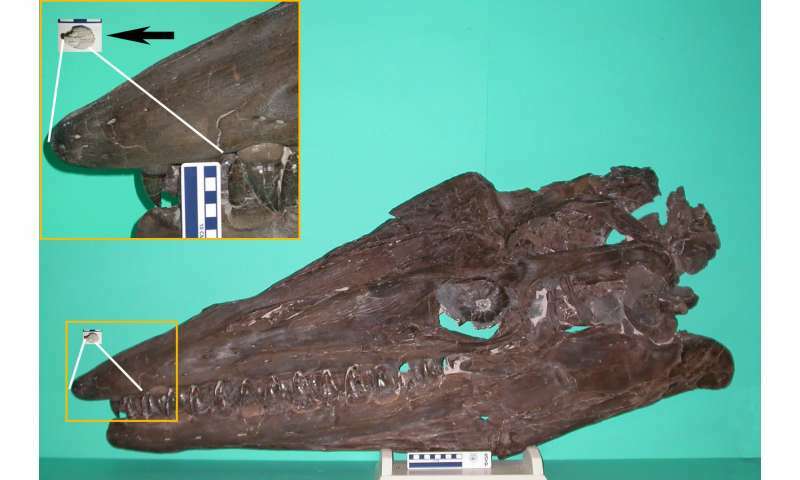 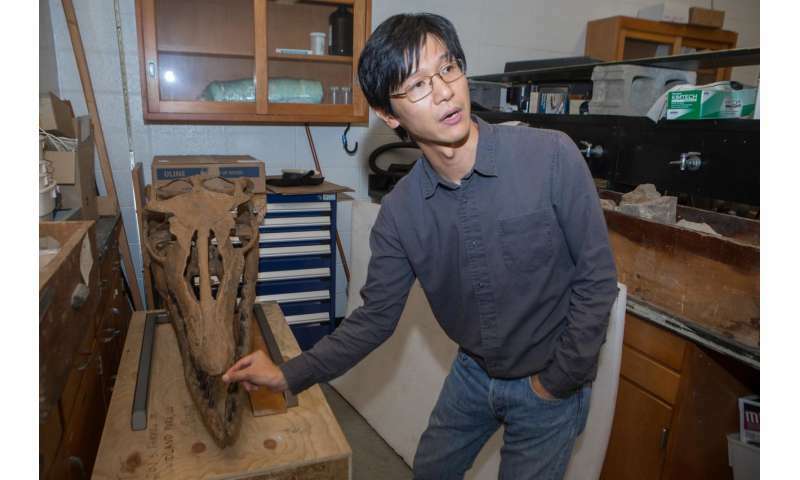 "And luckily an expert on mosasaurs was searching in exactly that spot and had sharp enough eyes to find it—all separated by about 85 million years," Konishi said.